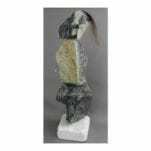 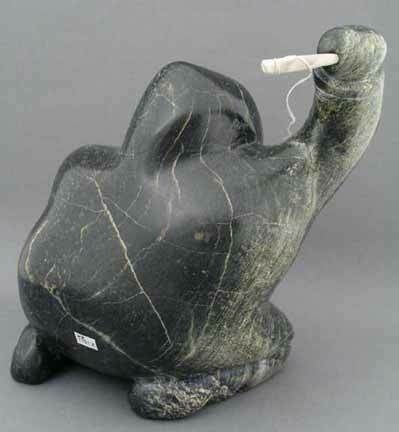 This sculpture, carved from dark serpentine, has real presence, thanks to its massive form and angled posture. 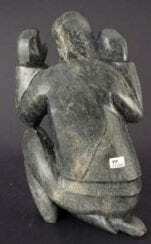 The form and posture are very traditional Inuit styles, as is the theme of fishing. 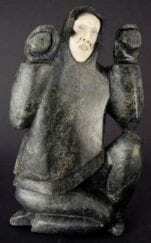 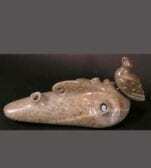 Joanasie Manning is a Cape Dorset artist who is best known for his carvings of owls and owl families. 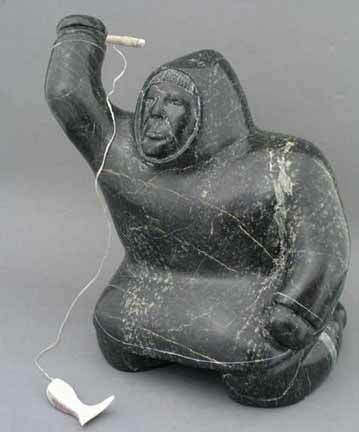 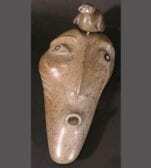 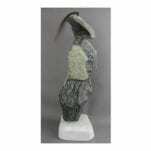 This traditional carving of a figure demonstrates the artist’s versatility and skill in carving other forms.